Models are now in good agreement on the development a potentially dangerous weather situation across parts of Tyrrhenian sea and the island of Sardinia. Latest model guidance suggest the today’s convective activity, associated with a weak upper low across the region, will result in rapid cyclonegenesis and the formation of a medicane over the Tyrrhenian tonight, within weak wind shear environment and over a very warm Mediterranean sea. Models are still indicating the likelihood of a warm core system – a medicane (Tropical-like Cyclone) development tomorrow, Thursday Sept 20th. Here is the MNW-WRF model guidance where a large cyclone is indicated over the Tyrrhenian sea. While its wind field is not expected to be particularly severe, gusts up to 80-100 km/h will be possible. Such position of the low favours strong moisture pooling from the very warm seas around Sicily, providing extreme instability to fuel the storms around the centre. Let us take a look at various high-resolution models regarding the intensity and location of the cyclone’s centre. Most models reveal the position of the medicane somewhere in the western part of Tyrrhenian sea, just east of Sardinia island. 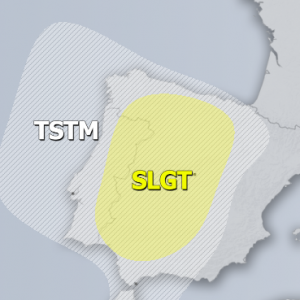 In addition, strong easterly to northeasterly winds will result in persisting orographic flow towards eastern Sardinia and therefore significantly enhance the threat for excessive rainfall and flash floods threat across the mountainous terrain. Even global models GFS and ECMWF model reveal a similar system. As simulated by the WRF-NMM model, cyclone could track across the southern part of Sardinia and then towards the coast of north Algeria over the weekend. Indeed, uncertainties are still quite high and the further evolution depends a lot on the earlier activity across the Tyrrhenian sea. All maps provided by www.wxcharts.eu, www.meteociel.fr and www.meteonetwork.it. 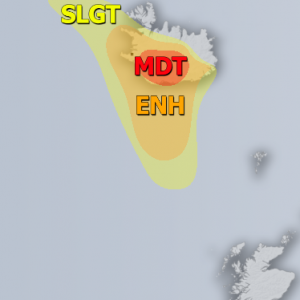 We can see the development of a potentially dangerous cyclone with extreme rainfall is becoming increasingly likely and could result in devastating flash floods in the coastal areas of eastern Sardinia if models verify the huge amount of rainfall (200-300 mm within 48 hours). Stay alert!